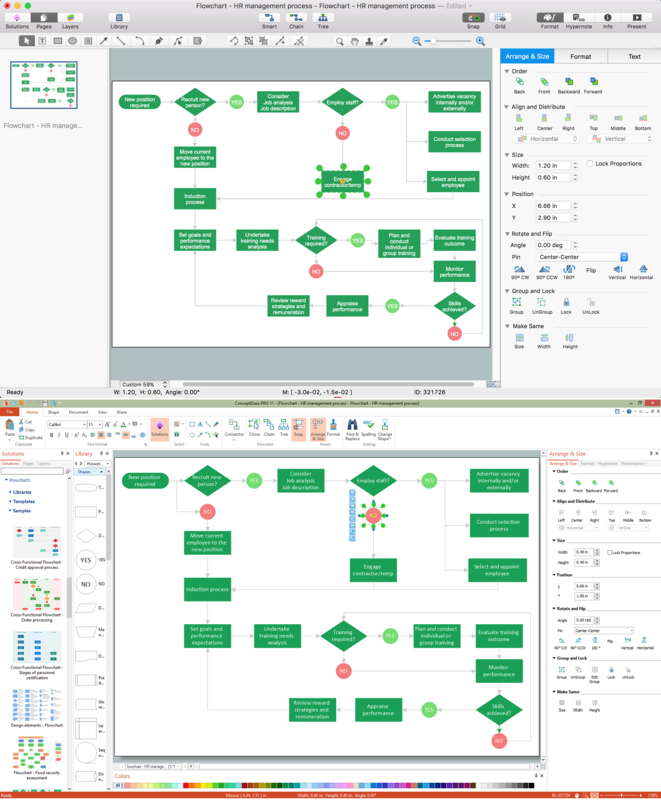 The ConceptDraw DIAGRAM is a professional software for creating great looking flowcharts. Numerous vector stencils, samples and templates created by designers will allow you to draw any type flowchart. Flowcharts give to users the ability to represent structural data visually. Flowcharts visualize a process or algorithm of program as step/operation blocks of various shapes connected with arrowed lines showed the process flow direction. They are used to visualize business or technical processes and software algorithms.